Your Hosts, Amanda and Greg purchased this beautiful cottage in the spring of 2018. They have invested a lot of time and energy into making this vacation property a memorable one. We have both lived in the area for our entire lives and now have 2 daughters whom also adore this spot. Whalley Lake is located at the intersection of hwy 124 and 520. 2 hours north of Toronto up the 400 to Parry Sound and across the 124. Full sun all day long and the Westerly exposure makes for the most beautiful sunsets. Close to the town of Magnetewan with amenities such as LCBO and the general store for all those things you forgot. Every Saturday there is a wonderful local farmers market for all your fresh fruits and veggies among many other things. Beautiful sandy beach and dock for boats and fishing. Fantastic campfire pit with plenty of seating. Flat level grassy lawn for sports and beach volley ball. 6 comfortably, but can accommodate more if needed. Outside seating also available. Beautiful little space of heaven on Earth!! Wonderful place to make memories with family! A wonderful cottage kitted out with everything you could possibly want! 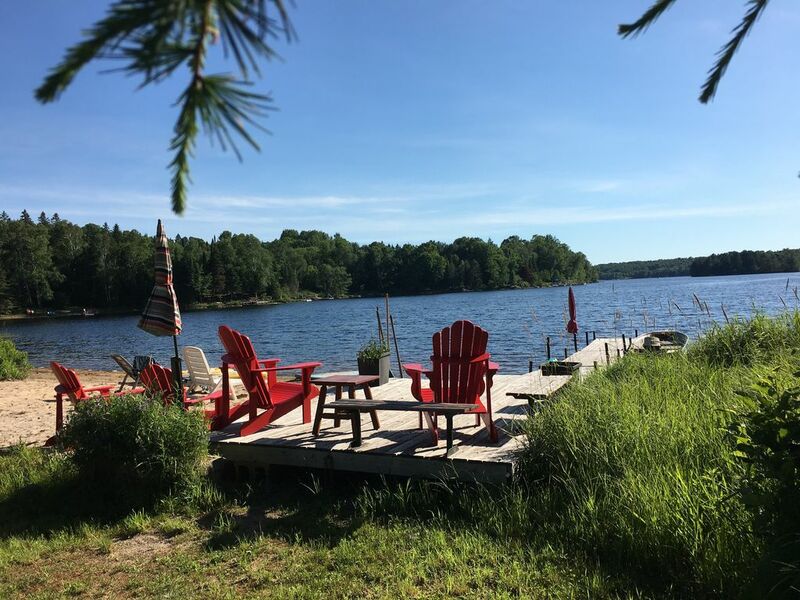 Greg and Amanda have done a great job setting the cottage up and very responsive to any questions you may have! The watercraft and beach area were excellent and so relaxing! You and your family were also amazing guests. I hope to see you again in the future! !